In December 2009, the FTC released its updated Guide to Endorsements and Testimonials, requiring full-disclosure between advertisers and endorsers, protecting consumers from deceptive marketing. Ensuring that marketers and bloggers adhere to the highest standards of disclosure and ethical online engagement is becoming essential to creating a successful social media program. 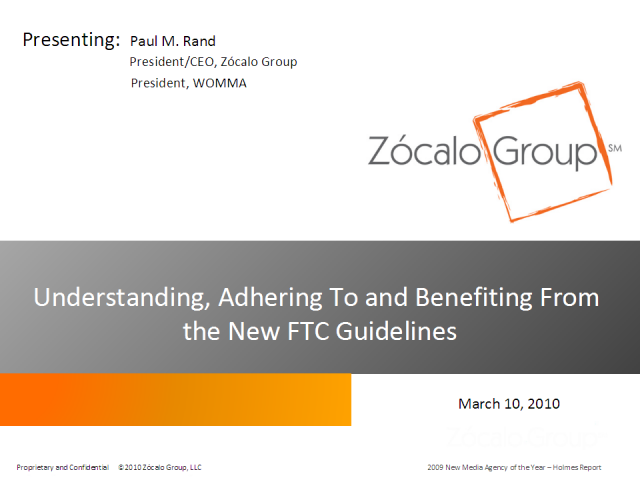 Join Paul M. Rand as he discusses best practices around using the new guidelines and what they mean for your business.